Anthony Williams felt the butterflies. His first game in Spartan Stadium. Just four months removed from high school. The early enrollee may have given Michigan State a glimpse of its future at running back. Williams ran for a team-leading 26 yards on nine carries and caught three passes for 19 more yards, flashing a speed burst to the edge that stood out for the offense in a 42-26 loss to the defense in Saturday’s spring game. No one expected Michigan State football to unveil its revamped offense during Saturday’s spring game. 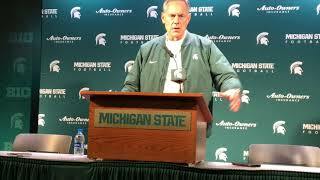 But there were things to see from the offense in the defense’s 42-26 victory at Spartan Stadium. 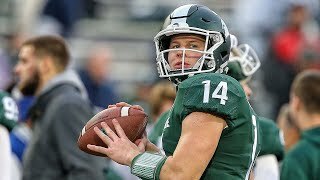 Specifically that quarterback Brian Lewerke’s right arm appears healthy. Here are some takeaways from the game, heading into the offseason before the real games begin Aug. 30 at Spartan Stadium against Tulsa. The Michigan State defense wasn’t at full strength on Saturday, but that hardly meant they were not dominant. That’s been the norm for the Spartans for the better part of the last 10 seasons and it was again in the annual Green and White game as the defense — the Green team — was in control much of the afternoon and beat the offense — the White team — 42-26 in a modified scoring system. Brian Lewerke believes his return to form is still a work in progress. 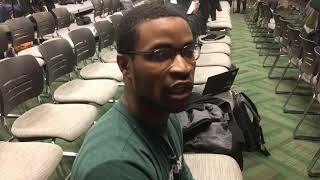 It’s only April but the Michigan State fifth-year senior quarterback’s performance in Saturday’s spring game was clearly a positive step towards getting back to where he wants to be. When their backs are against the wall, the Michigan State defense typically responds. 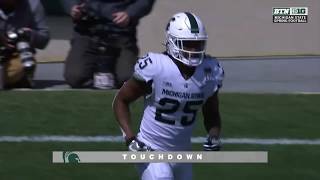 During Saturday’s spring game, which pitted the Michigan State football team’s offense against its defense, the vaunted Spartan defense found themselves down 17-15 midway through the third quarter. “I heard it pop,” Willekes recalled on Thursday as Michigan State’s spring workouts winded down. Willekes, the Big Ten Defensive Lineman of the Year last season, who had started to hear his name crop up in NFL Draft discussion, knew at that moment where he would be in 2019. “I knew immediately I was coming back,” Willekes said. Saturday’s spring game will be the first time the public gets a glimpse of what is different going into the Aug. 30 season opener against Tulsa. While many of the offensive adjustments likely won’t be revealed until then, there is plenty to keep an eye on when the languishing MSU offense faces its dominant returning defense at 2 p.m. at Spartan Stadium. Assistant head coach/defensive coordinator Mike Tressel and offensive coordinator/running backs coach Brad Salem met with the media following Tuesday’s practice to talk about how the Spartans have looked so far this spring. 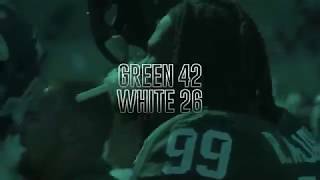 The Michigan State football team was planning on having its second spring scrimmage last Saturday morning. Instead, at around the same time they would have been in Spartan Stadium, about 20 members of the program were on a bus heading more than 600 miles to Minneapolis.